The Consolidated® Series 3500 Electromatic Ball Valve (EBV) is designed to provide automatic or manual over-pressure protection for steam boiler systems. Set to operate at a lower pressure than the spring-loaded safety valves, the EBV substantially reduces safety valve maintenance and increases boiler efficiency. 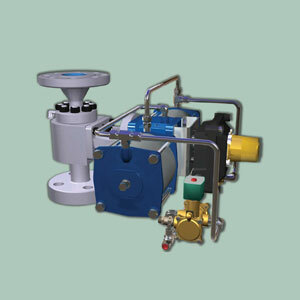 The EBV should be sized as part of the safety valve boiler package in order to ensure safe performance. This can be accomplished using a Consolidated® 3500 EBV because the proper seat bore diameter is selected to match the optimum capacity requirement. Where open/close actuation is acceptable, the EBV can also be used to assist with start-up and shut-down venting Guided Yoke Design: This preferred design is rugged and ensures positive and precise guiding of the actuator, stem and ball. The weight of the actuator is fully supported by the yoke; and by removing the side loading on the stem, excessive wear is eliminated on the packing, stem and actuator.